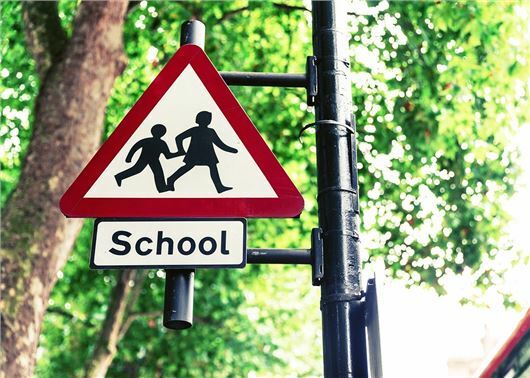 Primary schools have been accused of failing to deliver adequate road safety advice, after it emerged that half of children aged 6-11 have never received any form of pedestrian safety training. The Royal Society for the Prevention of Accidents (RoSPA) surveyed more than 400 parents of primary school aged children, with nearly two-thirds (61 per cent) saying they would like to see more practical pedestrian training being given to their children. Around half (49 per cent) of the people polled admitted that their children had not received any guidance about how to be road safe. “If we are to truly empower our children and their parents to commit to cleaner, active travel and healthier lifestyles, we have to make sure they feel safe as pedestrians,” added Lloyd. Department for Transport figures for the year ending June 2018 show that 6110 pedestrians were killed or seriously injured in the UK, up three per cent on the figures for the previous year. However, while schools appear to be failing when it comes to road safety advice, year-on-year child casualties of all severities has decreased by two per cent with 1310 casualties recorded for the year ending June 2018. Parents who would like to teach their children about road safety can find hints and tips, including the Green Cross Code, at www.rospa.com/FamilySafetyWeek. RoSPA also has a free road safety training pack for teachers, which aims to equip children at Key Stage 2 with the knowledge they need to be safe road users. Parents should stop driving their children everywhere and provide their own road safety training. Anything a school may do should be treated as a bonus not a right. Am I surprised that neither schools nor, more importantly, parents are really bothering to educate their children. How many times do you see parents stopping at the kerb and telling the children to look right and left before crossing - virtually never! This is a primary responsibility of parents but they do not do it - most of them have never considered it. More often you see parents walk straight into the road pushing a pram with one hand, small children hanging on to the pram and gazing at the phone held in the other hand. Here we go again. Blame the schools again. Typical of modern day Parents. Pass the buck again. The Parents should be doing it. If Parents want to keep their little sweetness safe then they should be training them as they would a pet dog. Schools have enough to teach as it is. I wonder what parents are there for, when I was a kid there was a lot less traffic than today and our mother taught us to cross road properly, we had a lesson at school but that needs backing up by parents, it's a parents duty to teach their own children. Kids should have to take a road safety test and a cycling test, if they fail with hold any child benefit until they receive a pass. First the parents need teaching how to cross a road without looking into a smart phone. Parents should be first in line to teach kids road safety - they should be getting taught well before the age of 6. As an ex-teacher, I can say things started to go wrong in about 1990 Successive governments have supposedly been improving education with the help of the OFSTED regime. Only thing is, as education has become a "Race to the top", the dependence on spoon feeding has wiped out both the self initiative and common sense that we should be promoting. And don't get me started on parents who insist on loading their children into a parked car 'road side'.... Bring back proper public information films and make them run before anyone can get to their Facebook homepage! As another ex-educator, I have to agree. Plus the sheer laziness of so many parents these days; despite an empty parking space 2 car lengths from the school gate, I see multiple cars take turns pulling in to the tiny dropped kerb alongside the gate, so their precious child has only a single stride to make the play ground. Same parents EVERY morning, then doing the same in the afternoon - and causing traffic chaos. I also see a Birmingham school has now employed a full time nappy changer, because so many children arent toilet trained. Again; down to the government stopping school from refusing children who arent potty trained. I am afraid school staff arent any better; I looked after a 12 y/o girl with a mental age of ~2, and incontinent; who was made to attend a regular school 3 days a week. Nearly every afternoon I would have to deal with the fact the teaching staff wouldnt clean her up after an accident, no1's OR no2's. You have to ask yourself nowadays what being parents are for any more.